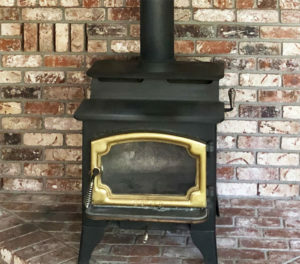 This before and after we removed an old polluting wood stove with an estimated output of 60 grams of weighed pollution per hour. 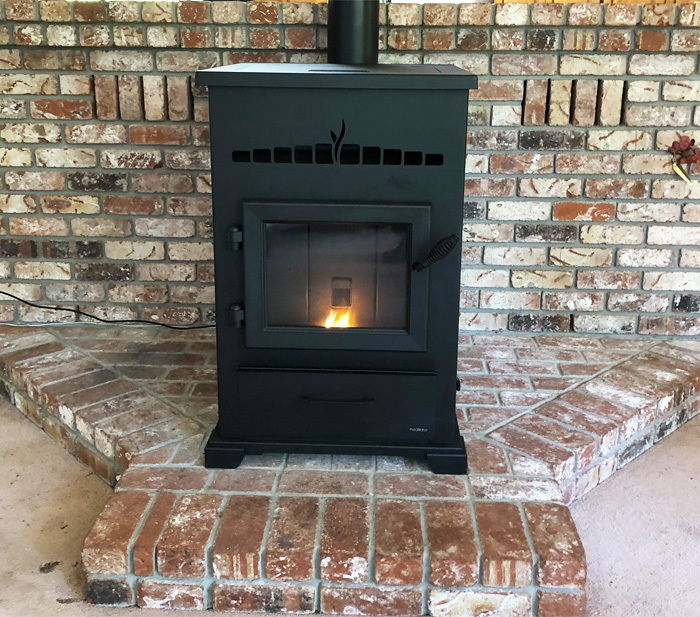 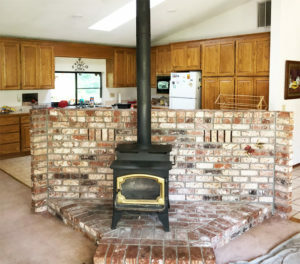 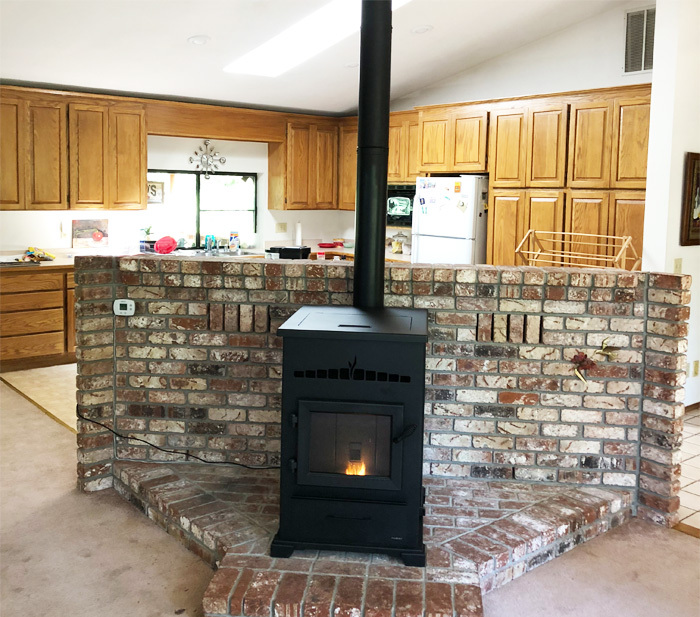 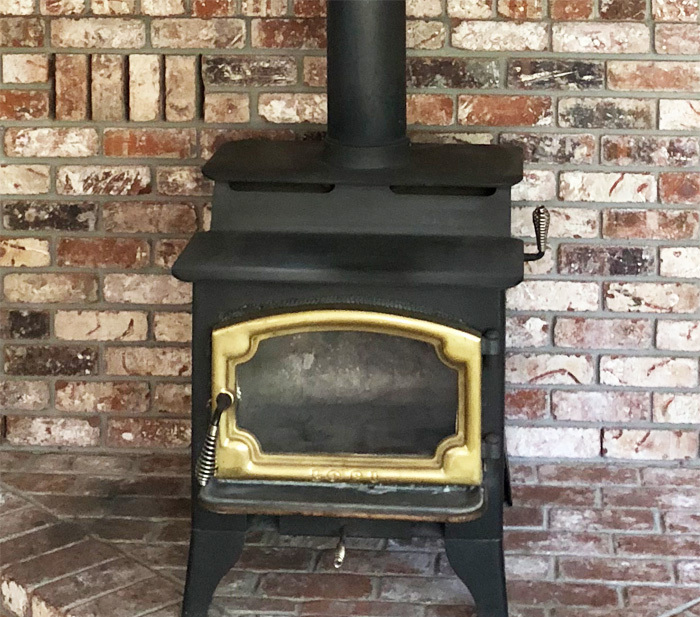 We replaced this old stove with a freestanding pellet stove by Heatilator, boasting an output of under 2 grams of Weighed pollution per hour. Heat output, flame, and ember appearance vary depending on the type of fuel used and the venting configuration.